What does APR hope to achieve in terms of wildlife? American Prairie Reserve hopes to be a catalyst in the effort to bring many wildlife populations, such as mule deer, white-tailed deer, big horn sheep, elk, cougars, and grassland birds, back to significantly larger populations than currently exist in the region. Montana Fish, Wildlife & Parks (FWP) manages all wildlife species in the region with input from the general public and from citizen advisory groups, on which our staff also serve. Overtime, American Prairie Reserve actions will include (1) providing input to FWP when population targets are being set, (2) offering recent scientific data about wildlife on Reserve lands, (3) actively assisting our neighbors to thrive in the presence of increased wildlife, and, most importantly, (4) assembling habitat acreages capable of supporting something close to the well-documented historic populations of these diverse grassland species. What plants and animals can be found on the Reserve? Does APR intend to reintroduce predators, such as wolves or grizzly bears, which were historically present in the region? As a private non-profit organization, American Prairie Reserve does not have the authority to reintroduce species to the area, even if those species were historically present. Species reintroduction falls under the jurisdiction of Montana Fish, Wildlife & Parks (FWP) and/or the U.S. Fish and Wildlife Service, and any decisions regarding the reintroduction of wolves or grizzlies in the region will need to be made by these agencies augmented by the will of the general public. How does APR approach science and restoration on the Reserve? 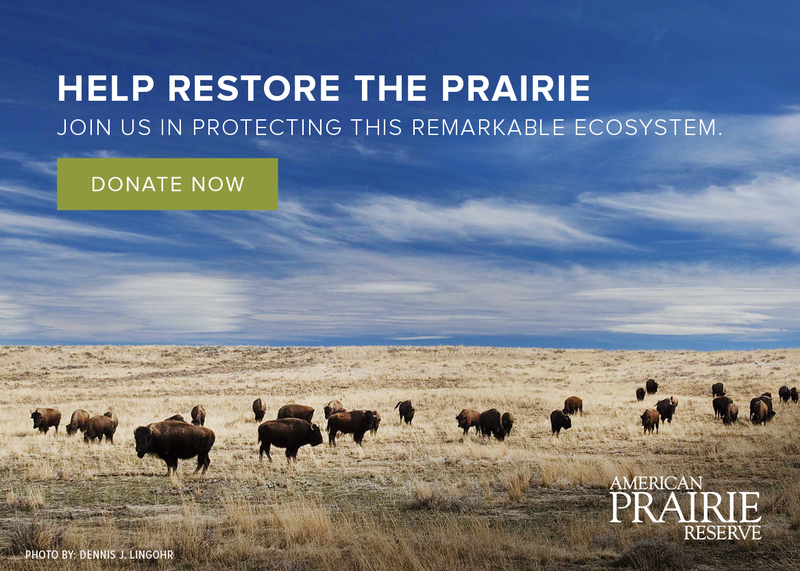 The overarching goal of American Prairie Reserve is to restore and conserve the species, habitats and ecological processes that were native to this region. To guide our management and restoration efforts, we have worked with experts to develop a 7-point scale, the Freese Scale for Grassland Restoration, which evaluates Reserve lands based on ten ecological conditions. These conditions include a range of topics like plant diversity, grazing, fire, hydrology, and predators. You can download the complete background summary on the Reports page, and additional information on the scale is available on the Reserve Management page. Looking specifically for Bison FAQs?